The other day I had some shrimp in the freezer and didnt know what to do with it and so I started looking at recipes online and nothing sounded good until I came to a shrimp ceviche recipe. 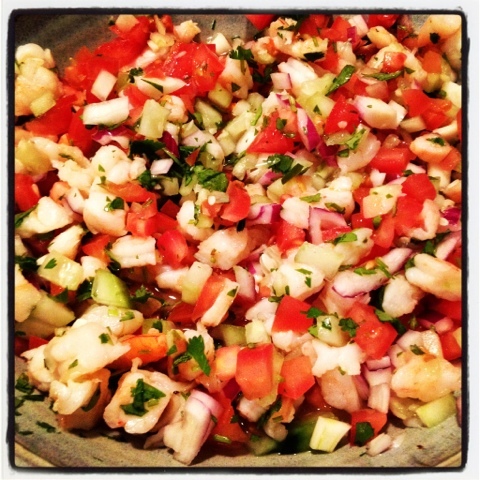 I ended up having to go to work so I wasn't able to make it so all day long I was then left craving some ceviche. I told my mom who was watching Mookie so by the time I came home she had this ready for me. Oh man and it was super yummy, just what I was wanting. Just writing this is making me want some more.